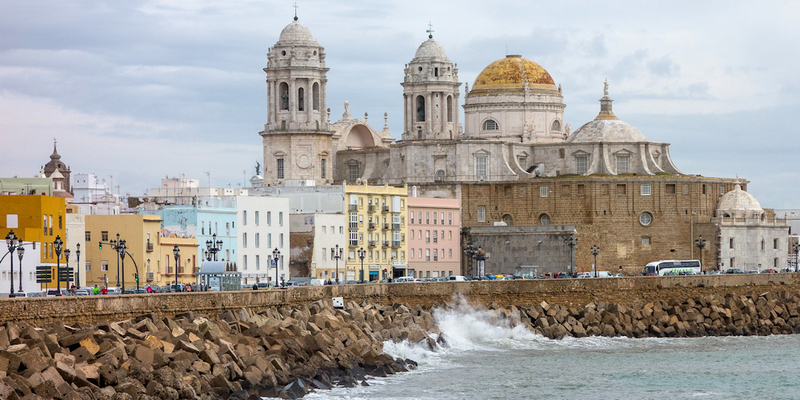 The Palestinian Campaign for the Academic and Cultural Boycott of Israel (PACBI) salutes the Municipality of Cádiz for cancelling an Israeli film series due to the Israeli embassy’s sponsorship. The scheduled opening ceremony included the participation of the director of cultural projects in the Israeli Embassy in Spain, Jesus Arcos García. The Israeli film series was organized in the Contemporary Culture Space (ECCO), a Cádiz municipal venue, which put it in conflict with the city council’s commitment to avoid contributing to whitewashing the image of Israel’s regime of military occupation and human rights violations through cultural events. On August 12, 2016, the City Council of Cádiz officially endorsed the Israeli Apartheid Free Zone campaign , committing to respect the human rights principles set by the global, Palestinian-led nonviolent Boycott, Divestments and Sanctions (BDS) movement for freedom, justice and equality. The Israeli government is investing huge sums of money to promote its Brand Israel propaganda campaign in response to Israel’s fast deteriorating standing in world public opinion. A recent BBC poll shows Israel as the fourth least popular state in the world. PACBI salutes our partners in the Spanish state, including the Coordination Committee “Andalusia con Palestina,” for their efforts in encouraging local councils to avoid complicity in covering up Israel’s human rights violations or enhancing its impunity through cultural events or commercial and institutional agreements. In the Spanish State, more than 80 public administrations have declared themselves Israeli Apartheid Free Zones (ELAI), pledging to fulfill their ethical and legal obligations to refrain from contributing to Israel’s human rights violations through trade agreements or institutional cooperation. With this cancellation, the City of Cádiz complies with its international obligations regarding not recognizing, aiding or abetting the commission of human rights violations or in the maintenance of the situation created by them, ensuring respect for international law and universal human rights principles. Israel’s regime of occupation and apartheid is not a friend of culture. From the beginning of the occupation until today, the Israeli occupation authorities have closed dozens of Palestinian cultural centers, theaters and exhibition halls and arrested Palestinian artists, singers, poets, musicians and filmmakers. It has tortured Palestinian journalists and writers and prevented many from attending international cultural events. Israel has ransacked the Khalil Sakakini Cultural Center in Ramallah and demolished the Stone Theater in Jenin. The absolute majority in Palestinian civil society, including the most prominent artists and intellectuals, launched a call for international solidarity in 2005 appealing to civil society and institutions to join the campaign of Boycott, Divestment and Sanctions (BDS) against Israeli apartheid. Twelve years later, BDS has become one of the most effective global human rights campaigns in the world.